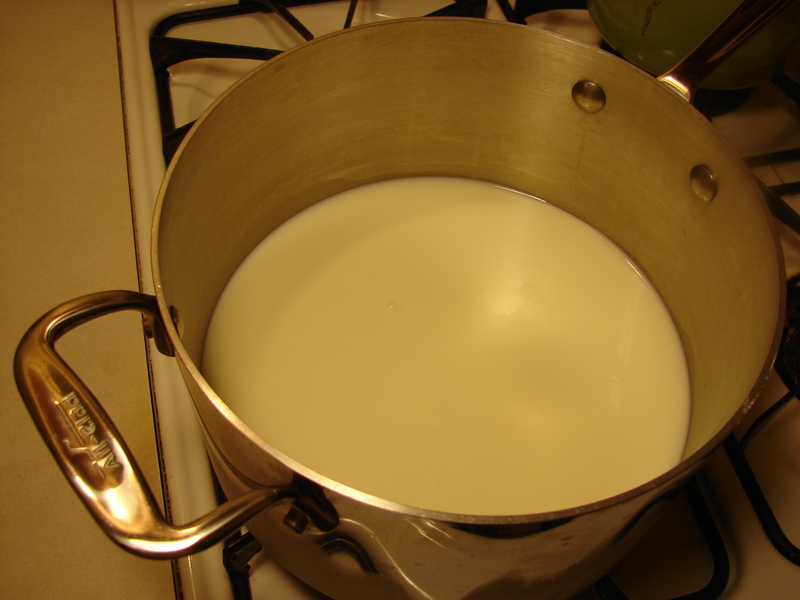 Scald the milk. You do this by heating it until just before it boils. (If you have a thermometer, this is 185 degrees.) 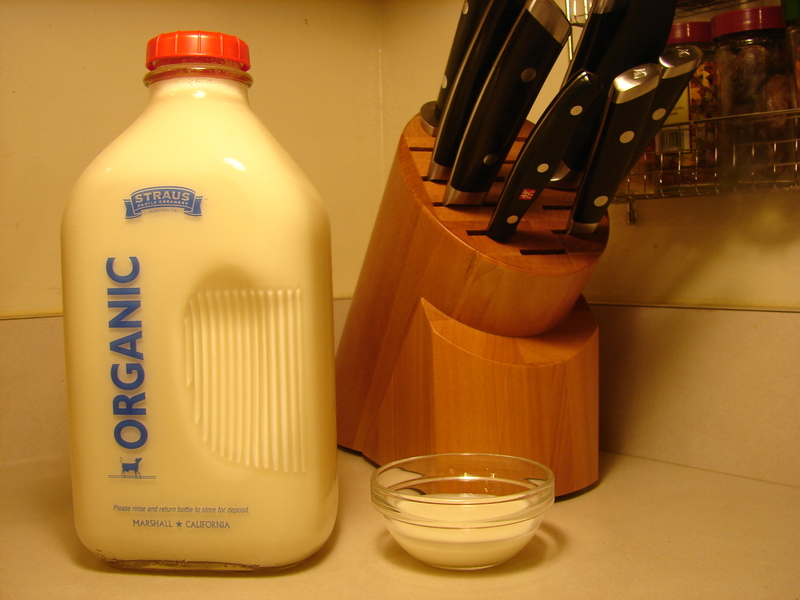 Let the milk cool down, but not to room temperature. It should be around 110 degrees. This is still hot, but not hot enough to burn you. If you make bread, it’s about the same temperature as the water you proof yeast in. The milk will have a skin on it. Remove this with a spoon. Add the yogurt and stir. Put the mixture into a bowl. Let the bowl sit in a warm place overnight. Since my oven has a pilot light, I put it in there. 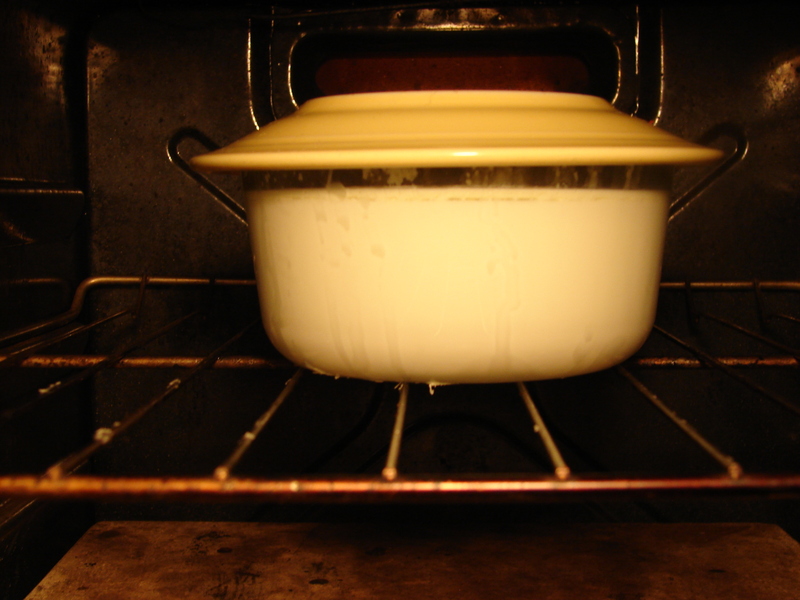 If you do this, I highly recommend putting a sign on the oven that says, “Yogurt inside; don’t turn on.” Otherwise there is a high potential for disaster. One time my mum put the yogurt in a glass container with a plastic lid in the oven. I turned the oven on without looking inside. I noticed something weird was going on when my kitchen started to smell like poison. I opened the oven and sure enough, the plastic lid had started to melt and the yogurt was destroyed. Always put a sign on the oven! In the morning, the yogurt will be thickened. If you want it thicker, strain it through a cheesecloth or a coffee filter until it has reached your desired consistency. (I don’t drink coffee at home, but if I did, I would try something like this reusable hemp coffee filter.) Put your yogurt in the fridge. It will keep for at least a week. I like to eat my homemade yogurt with this granola. 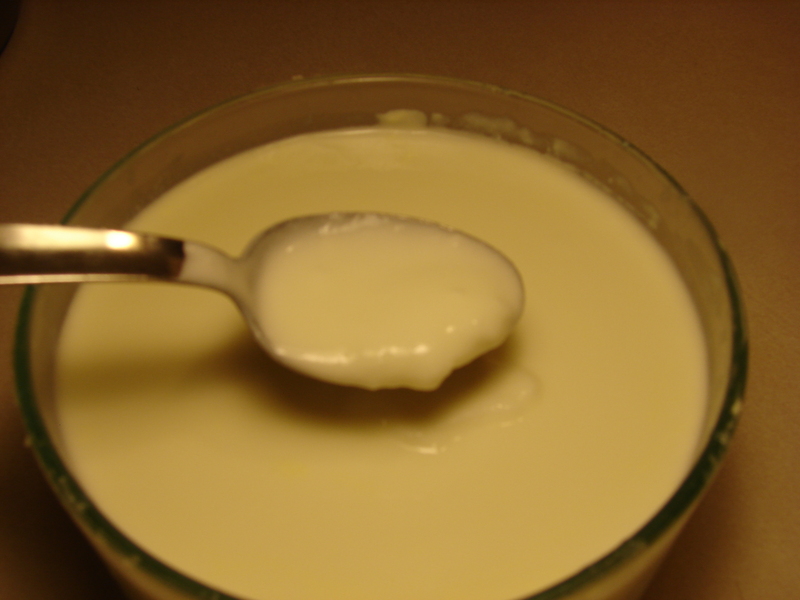 You can make yogurt cheese too. It’s basically really thick yogurt you can spread like cream cheese. I’ll write a post on that another day. Enjoy! Hi Mary Kat! You might not remember me, but I was in middle college a year ahed of you. I make my own yogurt too, and use this method too! The oven with the light and all. It was cool seeing that you do the same thing! Hi Mary Kat, you might not remember me but I was in Middle College a year ahead of you, and I make yogurt the same exact way you describe in this post (oven with the light on and all that), so it was cool to see that.